Forget the Sea played a show at Ravenna Church of the Nazarene on Sunday, March 6. 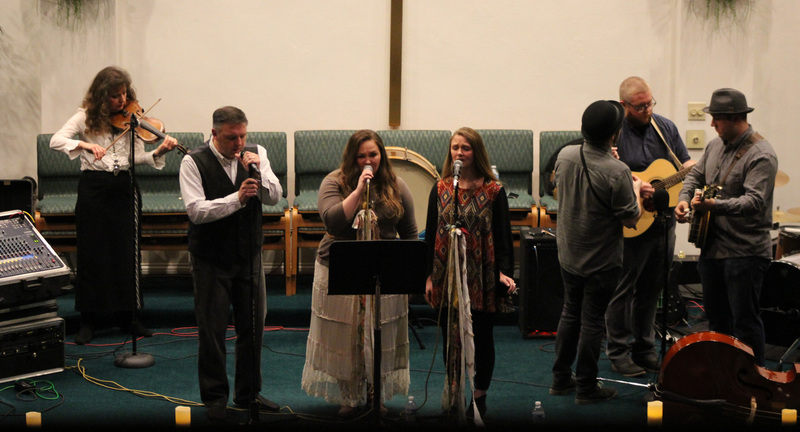 Band members include Mark Bishop, his daughters Courtney Isaacs and Haley Bishop, John Isaacs on percussion, Josh Rison on guitar and Chris Withrow on bass. The band had a special guest playing fiddle for the performance, Wanda Barnett.